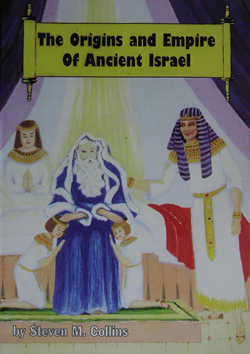 The central theme of this book is the Biblical covenant which God made with the Patriarchs and their descendants. This included the Biblical promise of numerous descendants who would build powerful, wealthy nations. This exciting story is told with the aid of over 100 maps, charts, and illustrations. Order from Bible Blessings. A fresh look at the early history of Israel, with special emphasis on the little-known and immensely important events that helped to shape our modern world. Here is the untold story, evidence that God's People visited distant lands in Europe and America in ancient times. A selection of commentaries on Biblical subjects by the author is also available on this website. The late Dr. Cyrus Gordon was a highly regarded archeologist and historian of modern times. A 1996 issue of the magazine, Biblical Archeologist, contained several articles devoted to his career and his many accomplishments.30 Dr. Gordon wrote the following about the Old World’s awareness of the New World. The McClintock and Strong Cyclopedia, offers the following information about the navigational skills of the Phoenicians that enabled them to navigate across the oceans. Johnston explains that early magnets utilized “loadstones,” which were stones with magnetic properties. These served as compasses by always pointing to magnetic north when suspended or when allowed to float freely in a “water compass.”37 The Phoenicians’ ingenuity was remarkable, as it allowed them to know their ships’ heading and direction, whether it was day or night, clear or cloudy. This ability would allow them to not only cross the oceans with confidence, but maintain reasonably-fixed sailing schedules, an important aspect to the commercially-minded Phoenicians. Dr. Barry Fell commented on the Phoenicians’ regular sailing schedules to ancient America, as noted earlier. The reader might justifiably wonder at this point, given the extensive evidence of Old World civilizations in ancient America, why America’s history books have not been updated with this new information. The reason is, unfortunately, that the modern academic establishment as a whole is in a state of denial regarding these discoveries because the facts overthrow “established” theories. Dr. Fell noted that some archaeologists were so deeply in denial about the realities of ancient America that they tried to dismiss clearly readable ancient inscriptions as “accidental markings made by plowshares and roots of trees...(and) colonial stonecutting drills.”38 Ancient American dolmens, megalithic monuments consisting of a large slab stone positioned atop smaller supporting stones, have been found in New York, New Hampshire, Connecticut and Massachusetts, which parallel Old World dolmens. These locations are all near the ancient Phoenician/Celtic temple and calendar complex called “Mystery Hill” in New Hampshire. These obviously man-made structures have even been called glacial “erratics”39 to deny the obvious evidence of Old World ties to ancient America. It is unfortunate that some in modern academia have resorted to such unscholarly, fanciful extremes to maintain a state of denial regarding the evidence of Old World civilizations in ancient America. As a result, the exciting story of ancient America’s history has been largely withheld from the American public. Unfortunately, the concept that “Columbus discovered America in 1492” has become such a cherished dogma that it now commands an almost superstitious devotion from modern academics. Columbus was a very brave mariner, but he was clearly preceded by other discoverers and colonists from the Old World who settled the New World millennia before Columbus. Columbus’ voyage was a courageous effort reestablishing New World links after the Dark Ages, but it is now known that such links commonly existed prior to the Dark Ages. So far, we have discussed only the Phoenician inscriptions and presence in the New World. As noted earlier, the ancient Egyptians were also allies of King Solomon during his reign. Their navies were also skilled in oceanic navigation, utilizing the Semitic inhabitants of ancient Libya as their mariners. The ancient Egyptian-Libyan fleets sailed across the Indian Ocean and sent exploration and mining expeditions into the Pacific Ocean. The Egyptians mined gold in Sumatra,40 and writings and drawings of their Pacific explorations are found as far as the Hawaiian Islands41 as “the Egyptians roamed the Indian and Pacific Oceans for gold about 1000 B.C.”42 The date “about 1000 B.C.” is significant as that is the time when the united kingdom of Israel, under Kings David and Solomon, moved to world prominence, with the Phoenicians and Egyptians serving as Solomon’s allies. That the Egyptian fleet would be searching a large portion of the world for gold during a time which included the reign of King Solomon will become most significant when we later examine King Solomon’s insatiable appetite for gold! So far, we have only scratched the surface of the subject of ancient civilizations being present in North America. Let us examine additional evidence of their presence in the ancient New World. Consider the languages of the triple alliance of Israel, Egypt and Phoenicia in the time of King Solomon. Their languages included the Semitic language shared by the Israelites and Phoenicians (with mere dialectal differences), Egyptian, and the language of the North African-Libyan sailors of the Egyptian navy. Let us now examine evidence that North America was both explored and colonized by people speaking Phoenician-Hebrew, Egyptian, and ancient Libyan. Dr. Barry Fell’s book America B.C. includes much evidence of the exploration of American soil by ancient people with the above language groups. We have already examined evidence from his book that the Phoenicians had a significant presence in North America, and that the Phoenician god Baal was worshipped at an ancient temple site in New Hampshire. Rawlinson cited the habit of the Phoenicians in bringing their religion wherever they went, and building temples in their colonies to honor their deities,43 so the existence of a temple dedicated to Baal at the ancient New England temple site is consistent with their habits. This ancient stele contains joint inscriptions in three ancient languages: Iberian-Punic (a language related to and descended from Phoenician-Hebrew), Egyptian, and ancient Libyan.45 These are the language groups of the triple alliance that the Bible reveals began in the reign of Solomon! Since this ancient stele confirms these groups were traveling and working together in the interior of North America, it indicates that this alliance not only existed but also had a global reach! Dr. Fell also wrote that this ancient inscription found in Iowa could date to “around 700 B.C.”48 A dating of 800-700 B.C. is very consistent with biblical accounts of that period. That these language groups were still acting in such close concert with each other that they left a trilingual inscription at that time indicates that they were still cooperating very closely in trans-oceanic voyages. The Bible reveals an alliance of these linguistic groups was established under King Solomon during the tenth century B.C. The terms “Iberian” and “Punic” indicate languages that are closely related to and descended from the Phoenician-Hebrew language. Indeed, the term “Iber-ian” comes from the name “Eber,” the forefather of the Hebrews. The term “Iberian” proclaims Hebrew roots. Dr. Fell noted the “Phoenician character” of the Iberian inscriptions on either side of the Atlantic.49 Solomon’s reign began in obedience to God, but by 800 B.C., when the Iowan stele was apparently inscribed, the Israelite-Phoenician-Egyptian alliance had embraced paganism. The makers of the Iowan stele may have been looking for raw materials to exploit; by then they had exhausted the copper mines of Lake Superior. However, because of Assyria’s growing pressure on Israel and the Phoenician city-states during 800-700 B.C., one motive for their voyage to North America may have been an effort to find a safe refuge from the Assyrian menace. The next book in this series will confirm that the Phoenician-Israelites had extensive settlements in the Iberian Peninsula, modern Spain and Portugal, during most of the first millennium B.C. The ancient stele in Iowa may have been made by Israelites and Phoenicians who sailed from Iberian settlements. A date of 800-700 B.C. for this stele confirms that the triple alliance of Israel, Egypt and Phoenicia lasted long after the lifetime of King Solomon. The Bible records that the ten tribes of Israel forsook worshipping the Creator God after Solomon’s death, and adopted the religious customs of Egypt, Tyre and Sidon. Biblical accounts show Israel and Phoenicia were still very closely allied during the reign of King Ahab of Israel (circa 850 B.C. ), and there is no evidence that their alliance suffered a breach until approximately 721 B.C., when Israel ceased to be a nation in the Mideast. Also, after Israel and Judah split into two separate Hebrew kingdoms, Egypt did fight periodic wars with Judah. Peaceful relations apparently prevailed between Egypt and Israel during that time. Therefore, the Iowa stele showing that these ancient nations were still working together around 800 B.C. in the New World is consistent with biblical accounts. Dr. Fell wrote that this ancient stele and other artifacts were found in an Iowan burial mound.50 That this burial mound from about 800 B.C. confirmed the presence of Semites and Egyptians in ancient America, begs the following question: How many other burial mounds in ancient North America were made by Old World cultures? Another stele exhibiting an ancient Egypto-Libyan script was found on Long Island, New York. (See photograph on opposite page) This inscription, according to Dr. Fell, “probably dates from about the ninth century B.C.”51 In his discussion of the inscriptions found on the Davenport and Long Island steles, Dr. Fell noted clear similarities between the written script of the Micmac/Algonquin Indians and that of ancient Egypt.”52 This analysis indicates that the Egyptians continued trading with ancient American inhabitants long after the kingdom of Israel fell to the Assyrians. Additionally, another stele was unearthed in Oklahoma with reference to the Phoenician and Egyptian gods of Baal and Ra, with an inscription described as “an extract from the Hymn to the Aton by Pharaoh Akhnaton [which]...dates from the thirteenth century B.C.”53 This stele is written in Iberian-Punic (related to Hebrew/Phoenician), but is dated by Fell as “scarcely older than 800 B.C.”54 This stele also supports the biblical account of Israelite-Phoenician-Egyptian cooperation. Why is Pharaoh Akhenaton mentioned in an Egyptian writing in ancient North America? At this point, some striking information about Egyptian history finds a solid parallel in biblical events. David Rohl’s book, Pharaohs and Kings, offers a revised chronology of Egypt’s dynastic rulers, which proposes remarkable parallels to biblical events and personalities. It has long been known that the reign of the “heretic” Pharaoh, Akhenaten (Dr. Fell’s “Akhnaton”), marked a temporary period in which an Egyptian ruler rejected the pantheon of Egyptian gods and required a virtually monotheistic devotion to the god “Aten” (or “Aton”). Rohl’s new chronology of Egypt’s dynasties has Akhenaten being a “contemporary” of King David of Israel!55 If this is the case, it argues that this inscription may have been made soon after the reign of Solomon, as it had to be a time when Israel, ruled by Jeroboam, had turned to paganism but when there were Egyptians still loyal to the beliefs of the “heretic” Pharaoh Akhenaten. Akhenaten’s belief-system was rejected by later Pharaohs, so it is difficult to make sense of a “hymn to Aton” (Akhenaten’s god) being present with an Egyptian contingent much past the reign of Jeroboam of Israel. The internal turmoil in Egypt caused by Akhenaten’s rejection of traditional Egyptian deities provided a golden opportunity for King David’s Israel to focus all of its attentions eastward against Assyria while devoting scant attention to Egypt as a potential rival. The Bible relates that Egypt became Israel’s ally during King Solomon’s time, so Israel’s border with Egypt was secure during his reign as well. However, Egypt attacked only Judah, but remained an ally of the northern kingdom of Israel, formed by the ten tribes of Israel. The first king of the northern Kingdom of Israel, Jeroboam, had been a courtier and friend of Egypt’s Pharaoh (I Kings 11:40), and one of his first official deeds was to institute the worship of Egypt’s apis bulls in the northern kingdom of Israel! (I Kings 12:28-30) King Jeroboam chose to seek security in alliances with Egypt, Tyre and Sidon instead of obedience to God. Jeroboam’s rejection of Israel’s God set a pattern for future kings, which would never be reversed. While the smaller kingdom of Judah periodically had good rulers who served God, the northern kingdom of Israel never returned to God. The ten tribes were politically, socially and religiously immersed into the “Phoenician” culture that was also allied with Egypt until the fall of Samaria. The famous “Amarna tablets,” which preserve many letters to Pharaoh’s court from rulers of petty city-states in Palestine during the reign of Pharaoh Akhenaten, take on a whole new perspective in David Rohl’s revised chronology. It is known the Amarna Tablets were written in the reign of Pharaoh Akhenaten, as they were found in the ruins of Akhenaten’s capital city, Amarna. Egypt’s other Pharaohs ruled from other cities. It is a vital clue that the Amarna tablets seem to end with the eighth year of King David’s reign. That is the year that David conquered Jerusalem and became king over all the united tribes of Israel. (II Samuel 5:1-10) When David unified all the tribes of Israel under his unified command, the petty city-state rulers who had been writing to Pharaoh Akhenaten ceased their messages. The reason is obvious. David tolerated no opponents as he consolidated the territory under his rule; rulers of city-states within his claimed domain either submitted to David or they died. The Amarna letters mention the leaders and activities of a group of people called “the Habiru,” which is an obvious term for “the Hebrews.” Rohl notes the “Sumerian logogram-form” for the word “Habiru” is “SA.GAZ.”58 The term “SA.GAZ” is a form of the root word of the Israelite forefather “Isaac,” [the “Saga,” “Sacae,” or “Saka”], which Genesis 21:12 and 48:14-16 had prophesied would be the name attached to the birthright Israelite tribes. Rohl also notes that Joab, King David’s army commander, is named “Ayab” (Hebrew: “Yoab”) in the Amarna Letters,63 and that David’s father, Jesse, is called “Yishuya.”64 Non-Israelites mentioned in the Bible are also identified by Rohl in the Amarna Letters. He cites Goliath as being the “Gulatu” of the Amarna records, and he identifies biblical Syrian kings, Hadadezer of Zobah and Toi of Hamath, as being named in the Amarna Letters. Rohl also identifies one Amarna Letter (EA 256) as being from the short-lived king of Israel, Ishbosheth (Saul’s son), who mentions he cannot find “Ayab” (Joab) as he also mentions the biblical personalities of Baanah (Benenima), David (Dadua) and Jesse (Yishuya) in his account. Baanah eventually assassinated Ishbosheth and brought the king’s head to David, the son of Jesse, who executed Baanah for his regicide (II Samuel 4). It is noteworthy that all the personalities mentioned in Amarna Letter EA 256 actually do interact as contemporaries in the Bible. The Amarna Letters appear to be the account of Israel’s rise to power in the time of David. If Pharaoh Akhenaten was a contemporary of King David, it explains why Egypt was passive during the glory days of Kings David and Solomon of Israel. It may also explain why an Egyptian Pharaoh became fascinated with monotheism, the religion of the resurgent Israelites. It took time for Egypt to reassert itself after the domestic turmoil caused by Akhenaten’s reign. When Egypt allied itself to Israel, Tyre and Sidon, it was in a weaker international position. King Jeroboam of Israel later forged strong links between Egypt and the northern kingdom of Israel during his reign, and discoveries of Hebrew-Egyptian-Phoenician artifacts in ancient North America confirm this alliance lasted for centuries. We have seen evidence that Baal-worshipping Hebrew-Phoenicians were in ancient America, but what about worshippers of the God of Israel? One major barrier to finding relics of worshippers of God (Yahweh) is that such worshippers were forbidden by God to build elaborate altars. In Exodus 20:24-26, God commanded the Israelites to make plain altars of earth or natural stones which had not been shaped by any tools, and added that altars not be placed at the head of staircases. These instructions effectively eliminated the man-made religious structures that the pagans built, and which can be unearthed by archeologists today. There could have been many worshippers of Yahweh in ancient America at the time that Israel served God under King Solomon, and there would be little evidence of them because of God’s instructions on altar-building. Also, Exodus 20:23 records that God forbade making “gods of gold and silver,” and the second of the Ten Commandments forbids the manufacture of any “graven image” as part of religious worship. This further eliminates the types of artifacts (idols) which pagan worshippers commonly manufactured. God gave these instructions so people would keep their minds focused on God and His laws, and not on physical objects. Further complicating the dating of this ancient Hebrew inscription is the statement that “the punctuation [of the inscription] matched that of ancient Greek manuscripts, such as the Codex Sinaiticus of the fourth century A.D.”68 Dr. Fell’s discussion of this artifact stated that separation points like those in this inscription date as early as 1200 B.C., but that the oldest known record of some punctuation marks (carets to denote an insertion to correct an omission) date to the Codex Sinaiticus of the fourth century A.D. This does not date the Hebrew inscription to the fourth century A.D.,69 but is rather an example of the oldest known occurrence of a similar punctuation mark. How long such punctuation was used prior to the fourth century A.D. is not known. In view of the above, this Los Lunas inscription pre-dates the arrival of Columbus by at least a thousand years, but it most likely dates to the time of King Solomon for several reasons. The first reason is that the inscription is in the Paleo-Hebrew characters in use from approximately 1200-600 B.C., which includes the reign of King Solomon. A second piece of evidence is what the inscription says! Since it is an inscription of the Ten Commandments given by God to Moses, it was obviously made by Israelites at a time when they worshipped the God of the Bible. Since the Kingdom of Israel quickly degenerated into pagan practices after the reign of Solomon, it argues that this inscription was made during the reign of Solomon when God’s laws were the standard for the nation. I Kings 10:22 records that Solomon’s sailors undertook voyages that returned after three years with samples of wildlife, apes and peacocks, from other continents. Such fleets could easily have visited the New World during a three-year voyage. Another factor powerfully supporting a dating of this ancient Hebrew inscription to the time of Solomon are the economic and logistic realities in the ancient world. Transoceanic expeditions and colonization efforts in the ancient world required a very large commitment of monetary and human resources. The source of such resources had to be the king of a wealthy nation. Because the New Mexico inscription is in ancient Hebrew, the sponsor for that ancient expedition had to be a very wealthy king of the ancient Israelites! Solomon was the wealthiest ancient King of Israel, and he reigned at a time when the Israelites kept the Ten Commandments. The high cost of financing trans-Atlantic voyages is verified when one considers the European colonization efforts, which began when Columbus “rediscovered” America in 1492. European colonization at the beginning of the modern era required the backing and approval of national monarchs in order to occur at all. Even companies with a large presence in the New World, such as the Hudson’s Bay Company, conducted their efforts only with the support and favor of a reigning monarch. Those who would argue for a more recent date for the Los Lunas inscriptions are confronted with this major problem: What Old World nation in the fourth century A.D., or any other date more recent than Solomon’s reign, would fund exploration and/or colonization efforts in the New World which would leave behind ancient Hebrew inscriptions? Since there were no powerful and rich Hebrew-speaking nations in the fourth century A.D., any such proposed dating lacks the support of any logical historical context for its occurrence. Because the Los Lunas inscription proclaims its makers were devoted to the God of the Ten Commandments, we are limited to those kings of Israel who could have funded international expeditions during Israel’s brief period of loyalty to God. This requirement limits the prospective dating of the Los Lunas inscription to the reigns of Kings David and Solomon. The kings of Israel that followed David and Solomon were, almost without exception, apostates who served Baal and other idolatrous gods. Under later kings, any sailing fleets would have left inscriptions devoted to pagan gods, as in the inscriptions on the tri-lingual, Davenport artifact. The kings of Judah who survived until about 587 B.C., had several righteous kings whose followers served God, but Judah was a small nation with few resources to fund and mount such expeditions. Judah had interludes of resurgent national power, but there is no record that Judah was ever a naval power. I Kings 22:48-49 and II Chronicles 20:36-37 record that righteous King Jehoshaphat tried to build a fleet for Judah, perhaps to compete with the fleets of Israel-Phoenicia, but God himself intervened to stop Judah from becoming a naval power.Therefore, the only logical historical context for the making of the Los Lunas inscriptions is still during the reigns of either King David or King Solomon. Since King David was a warrior with little interest in scientific endeavors, the reign of King Solomon is the most logical milieu for any expeditions or colonization efforts which had Israelites carving inscriptions in ancient America proclaiming a loyalty to the God of the Bible. Also, King Solomon’s insatiable scientific curiosity about the world’s flora and fauna (I Kings 4:29-33, 10:22) made him eager to fund international expeditions. This author has personally visited and inspected the Los Lunas inscription, and the site is located adjacent to a large, dry river-bed. This vanished river would formerly have been a major tributary of the Rio Grande River during a wetter climate when the river flowed freely. As the dry river-bed attests, there was once enough water in the ancient Southwest to support thriving colonies. It is likely that the ancient Israelites established a colony at the Los Lunas site during the time of King Solomon when the area could be reached via sailing routes from the Gulf of Mexico and the tributaries of the Rio Grande River. When the climate reverted to its dominant arid condition, the colony would have been abandoned. Additional evidence of ancient worshippers of the Bible’s God in ancient America has been noted on a “Decalogue Tablet” (an artifact bearing an ancient Hebrew inscription of the Ten Commandments) unearthed in Ohio in 1860. Besides having the Ten Commandments inscribed on it, the tablet includes a depiction of “an individual meant to represent Moses [which] has been carved in considerable detail on the ‘front’ of the tablet...[and] a ‘handle’ at the bottom of the tablet, which may have been constructed to accommodate a strap.”71 The presence of a handle on this tablet indicates that it served as a portable object, which could accompany worshippers of God as they were traveling in ancient America. This “Decalogue Tablet” was found with grave goods in an ancient American burial mound. Its presence suggests that the person interred in the mound may have been an ancient Levite present with Israelite explorers or colonists in ancient America. It has been noted that the Hebrew inscription also has some characteristics of “the old Phoenician alphabets.”72 A Hebrew inscription with Phoenician features is exactly what ancient Israelite inscriptions should be like. The Israelites were close allies of the Phoenicians and shared a common culture and navy from the time of King David until the fall of Israel circa 721 B.C. Their artifacts would naturally exhibit the traits of both cultures. While this artifact unearthed from an Ohio burial mound cannot be specifically dated, the alphabet used indicates that it was made by ancient followers of God who spoke Hebrew. While it would be tempting to date this artifact to the time of King Solomon, the fact that it was engraved with square Hebrew letters indicates a date several centuries more recent than the Los Lunas tablet, which exhibited the more ancient Paleo-Hebrew letters. This raises the possibility that there were Israelite colonists in the New World who remained loyal to the laws of God long after Old World Israelites abandoned them. Linguistic traits in the New World could also be retained for a greater length of time due to their remoteness from the Old World and its linguistic changes. Whatever the dating of the above artifacts, such discoveries provide firm archaeological support to the Bible’s assertion that the ancient Israelites sponsored wide-ranging fleets and were one the major nations of the ancient world. Since the Ten Commandments in ancient Hebrew have been found in both Ohio and New Mexico, it confirms that ancient Israelite explorations and/or colonizations of the New World were widespread. These facts may be disconcerting to “establishment” sources who cling to the flawed dogma that “Columbus discovered America in 1492” no matter how voluminous the evidence that Israelites and other Old World civilizations sent explorers or colonists to the New World. This evidence will become ever more voluminous and convincing as this book series continues. Hundreds of inscribed Phoenician, Celtiberian, and Basque stone grave markers, dated to 800-600 B.C., have been found in the Susquehanna Valley of Pennsylvania.74 The inscriptions on these artifacts had been identified as Phoenician decades prior to Dr. Fell’s research,75 but these facts were incompatible with the dogmas and assumptions of modern historians so they were ignored. The Egyptian presence in the New World has been found in the writing system of the Wabanaki/Micmac Indians (an Algonquin tribe) of Maine,76 in an ancient tablet found on Long Island in New York,77 and on the Iowa stele mentioned earlier in this chapter. Also, it has been documented that the ancient Egyptians sailed the Pacific Ocean as afar as Polynesia and Hawaii as they “roamed the Indian and Pacific Oceans for gold about 1000 B.C.”78 (Emphasis added) The date of “1000 B.C.” parallels the golden age of Israel’s Empire days under Kings David and Solomon when the Bible records that Egypt was allied to King Solomon’s Israelites. Whether this inscription dates to the reign of King Solomon or not, it further confirms that nautical travel between the Mediterranean Region and North America took place in ancient times. The phrase “Crew of Shishonq the King” may indicate that the king himself was on the voyage. Obviously, monarchs would not likely have come to the New World unless it was considered safe to leave their home kingdoms. A period of peaceful stability, as during King Solomon’s reign, would have been an ideal time for such journeys. Also, the Bible records that many monarchs did undertake international visits during the reign of Solomon. (II Chronicles 9:23-24) The Bible mentions an Egyptian ruler named “Shishak” (i.e. “Shishonq”) sacked Jerusalem during the time of King Rehoboam of Judah. (I Kings 14:25-26) While Shishak’s Egypt attacked Judah, the smaller Jewish kingdom, it did not attack the much larger, northern Israelite kingdom of Israel. Indeed, Egypt’s Shishak was a friend of King Jeroboam of Israel (I Kings 11:40), so the ten tribes of Israel in the northern kingdom of Israel likely cheered Shishak as he attacked Judah, their estranged Israelite brothers. Dr. Fell cited the work of Gloria Farley, who “made notable finds of ancient inscriptions left by Libyans, Celts and Phoenicians who ascended the Mississippi, Arkansas and Cimarron Rivers.”81 The evidence is compelling that the ancient alliance of Israel, Egypt, Tyre and Sidon extensively explored North America during biblical times, following the river courses in Phoenician ships. It is significant that Dr. Fell noted the time period of “1000-800 B.C.” as marking a period of significant Old World exploration of the New World. This time frame exactly parallels Bible records showing international travel and commerce flourished with fleets undertaking multi-year voyages and visiting other continents. This time frame begins with the reign of Kings David and Solomon, but continues through much of the history of the northern kingdom of Israel, the dominant partner in the Phoenician alliance until Israel fell circa 721 B.C. The conclusion is inescapable that the record of ancient history verifies the biblical accounts. The Bible is not a detailed history of all that happened in the ancient world, but it confirms what archaeology and epigraphy have shown about the real state of commerce and travel in the ancient world. Secular evidence that Phoenicia’s greatness began around 1000 B.C. is critically important since it coincides precisely with the period during which King Hiram of Tyre allied his people to King David’s Israelites. Since the Israelites were of a common race, language and culture with the Phoenicians, the true Israelite role in “Phoenicia’s golden age” has not been recognized. In fact, it was Israel’s golden age rubbing off on the Phoenician city-states! Israel was the dominant partner in the Phoenician alliance with Tyre and Sidon serving as junior partners. This conclusion is supported by the facts that Phoenicia’s “golden age” did not start until it allied itself to Israel, and that their “golden age” ended when Israel fell. The small city-states of Phoenicia were unable to sustain any “golden age” of international power apart from their alliance with Israel. The above accounts all indicate the term “Phoenicia” included a region much larger than just the small city-states on the eastern Mediterranean coastline. What harmony with the Bible! I Kings 5:6 also uses the term “Sidonians,” but that same chapter of the Bible shows King Hiram of Tyre becoming the leader of the Phoenician city-states at the beginning of the first millennium B.C! Casson’s account also affirms concerning the Phoenicians that the land of Canaan was “their land!” It is well-known that “the land of Canaan” was the territory of the Israelites! The Bible actually provides us with contemporary information about who was in the Phoenician alliance, and why it became so powerful as the first millennium dawned. While no one knows the dates of Homer’s lifetime, all of the above suggested dates coincide with the period that the Israelites lived in Canaan. This is important because if Homer and his fellow Greeks originated the term “Phoenicia,” they did so at a time when the city-states of Tyre, Sidon, etc., were so closely linked to the Kingdom of Israel that they were virtually one entity. This explains why the term “Phoenicia” is absent from the Bible. Unlike modern history texts that reflect Greco-Roman perspectives, the Bible was written from a Hebrew perspective, and it records the names by which the “Phoenicians” referred to themselves. Such names included “Israel,” “Sidonians,” “people of Tyre,” and even the names of Israel’s large tribal units. After Israel fell, the term “Phoenicia” remained on the smaller city-states of Tyre, Sidon, etc., even though they lacked the manpower to sustain the empire that had existed when they were allied to the Israelites. However, during the period of 1000-700 B.C., the term “Phoenicia” meant the alliance of Israel and the city-states of Tyre, Sidon, etc. It is not technically correct to say the Israelites were “allied to the Phoenicians” because Israel itself was the dominant member of the allied people on the eastern shores of the Mediterranean Sea who were called “Phoenicians” by the Greeks. This explains why international power and influence characterized the “Phoenicians” from approximately 1000-700 B.C., the time when Israel was in the alliance, and why the term “Phoenician” describes a people with severely reduced numbers and influence after 700 B.C., when the Israelites were absent and the city-states were left all alone. This series of books will sometimes refer to “Phoenicians” and “Israelites,” but the reader should realize that, during the lifetime of the kingdom of Israel, the term “Phoenicia” included the Israelites. Philip Hitti also notes: “around 1100 B.C., Egyptian wisdom writing reached its highest ethical point...[it] counsels against arrogance, snobbery, ill-temper, and oppressing the poor. [It]... stresses courtesy, deference, contentment, tolerance and kindness...it served as a source for certain Hebrew Proverbs.” 91 The Hebrew proverbs referred to are, of course, those attributed to Solomon at the beginning of the first millennium B.C., and found in the book of Proverbs in the Bible. Whether Solomon borrowed these from the Egyptians or whether it was in fact the other way around is a valid question. The time dating of “around 1100 B.C.” is so close to the reign of Solomon that the case can easily be made that the “wisdom” of the Egyptians was learned from their ally, Solomon. The above virtues are all regularly found in the Bible as elements of how God expects us to deal with other people. It is significant that Egyptian wisdom “reached its highest ethical point” at the general time that Egypt was allied to King Solomon, the wisest king who ever lived! The fact that Egypt’s Pharaoh became Solomon’s father-in-law (I Kings 9:16) also offered an easy pathway for Solomon’s wisdom to flow to Egypt’s elites. From the above accounts we find international power attributed to the Phoenicians and wisdom characterizing the Egyptians at a time the Bible states both had allied themselves with King Solomon of Israel, who was exceedingly powerful and wise.